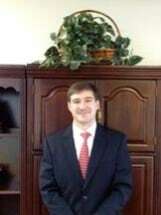 Wheland attended college at the University of South Carolina and worked for several years as a personal financial advisor. He then decided to attend law school at Mississippi College School of Law. After graduation, Wheland began practicing in Bankruptcy, Social Security, and domestic work of all types. Today he focuses his practice on divorce work with the intent of providing effective and affordable representation. He understands the importance of being constantly available for his clients so he keeps his office doors open six days every week, and is happy to meet or speak with his clients on any day he is in the office. Wheland’s goal is to provide his clients with comfort and peace of mind during the stress of this time while vigorously advocating for their rights. Further, with a background in finance, he is able to effectively navigate his clients through, not only the emotional, but also the financial stresses of difficult times.